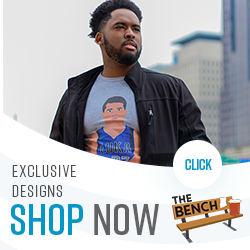 Check out our shop for tons of NFL merch! Ever since studies on CTE have been published, the NFL has started changing rules to make an attempt at protecting players from long-lasting brain injuries and conditions, among other injuries. This season, fans and players have sounded off about the league’s new roughing the passer initiative, which basically turns sacking the quarterback into two-hand-touch. One rule change that has gone under the radar is the lowering of the helmet by any player going into a tackle, on either side of the ball. Similar to targeting in college football, a defensive player can’t lower their helmet and lead with their head to make a tackle. However, this rule applies (or it’s supposed to) to ball carriers as well. The NFL, officials, and even some fans are forgetting about this rule amidst the softness happening in the backfield. In Thursday night’s matchup between the Colts and Patriots, Pats RB Sony Michel got low to get more yards out of a run. He lowered his helmet into Colts safety Clayton Geathers, and no flag was thrown. Geathers was down after the play, then he was taken to the sideline and entered concussion protocol. He didn’t have a concussion, but is now on the injury report as out with a neck injury. The strangely-worded roughing the passer penalty has caused its own share of problems for defensive players as well. Earlier this season, Dolphins DT William Hayes tore his ACL after trying to not land on Raiders QB Derrick Carr with his body weight. Packers star Clay Matthews has been very public about struggling to do his job while following the strange rules the NFL has put forth. Through four weeks of this season, the NFL has seen 39 calls for roughing the passer. We’re on pace to see 156 calls through this season. In 2017, there were only 106 roughing the passer penalties. My question is why won’t they just put flags on the QBs? They would rarely hit the ground then. Guys would be able to grab the flags and that would be a sack. Guys are losing thousands of dollars just doing their job. Something has to change. These rules, among many others the NFL has tried to implement in recent years, only benefit the offense and put the defense at a major disadvantage, also causing injuries. Which is ironic since these rules are supposed to be keeping players from getting injured, right? However, the NFL isn’t going to be terribly mad about this. Teams have been scoring more per game than in years past, and quarterbacks are throwing for record numbers every week. In all, these rules just make it flat out unfair for the defense. Guys are getting hurt just trying to play the right way, and offensive players aren’t getting called for things the defense is. NFL: this needs to end.